Honestly, I’m not sure it’s something I really want to do. We are discussing what is the right thing to try to do. What would make it interesting? That’s the nut that must be cracked. At the time of the initial story, we said the tentative plan was to have new characters in a new city interacting with the fictional shrink, but Grammer shot down the idea. “I do not picture that, no,” he said, but then—perhaps sensing that we seemed a bit confused—he went on to further explain that he would want the old gang back together. 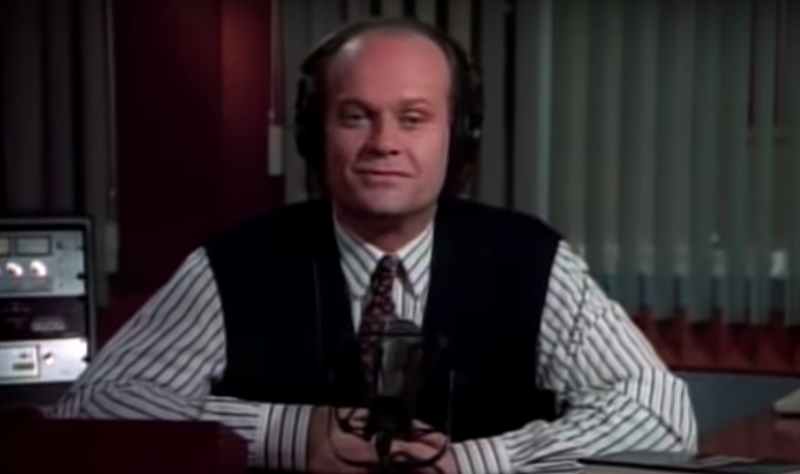 “Certainly I think everyone that was on the show should be on this show, and then go from there.” As one potential example of the direction it could go, Grammer entertained the idea of Frasier reuniting with his son Frederick. “I think there’s certainly some distance to go with that. I think there’s a kernel of good thinking there—that the relationship becomes the Martin–Frasier relationship.” Quite stylish! “Oh my god,” or “Oh, Good lord”?